Dementia is the loss of cognitive functioning — thinking, remembering, and reasoning — and behavioral abilities to such an extent that it interferes with a person’s daily life and activities. Most people miss the early signs and symptoms of dementia. An early diagnosis allows a person to get the maximum benefit from available treatments and provides time to plan for the future. Patients with dementia often suffer from symptoms include memory loss, depression, and concentration difficulty. Symptoms usually develop slowly and get worse over time, becoming severe enough to interfere with daily tasks. Other symptoms commonly reported by dementia patients include aggression, impulsivity, irritability, fatigue, anger, anxiety, loneliness, nausea, constipation, and confusion. Dementia is a term for a group of neurodegenerative diseases that affect memory, cognition, and personality. These symptoms are caused by damage to groups of neurons that aid in executive functioning, which leads to interferences in the ability to consciously process what is going on in their thoughts, in their body, and in their environment. With this disruption in communication comes a disruption across emotions, behavior, and cognitive function. If care is sought in the mild to moderate stages, it allows for better outcomes and slower decline. A thorough professional evaluation may detect additional underlying treatable conditions, even if symptoms suggest dementia. Early diagnosis allows a person to get the maximum benefit from available treatments and provides time to plan for the future. 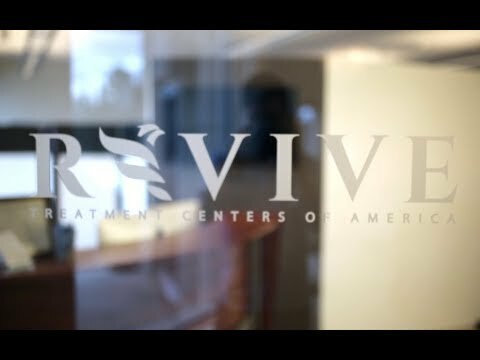 At Revive we specialize in providing treatment to the neurological regions affected by dementia. Your treatment can include balance, gait, and eye training; as well as hand-eye coordination, repetitive transcranial magnetic stimulation (rTMS), hyperbaric oxygen, diet, and supplements. Beyond the neurological system, there are many factors that can impact the presentation of dementia: the immune system, diet, sleep, and stress (to list a few). By integrating knowledge of the brain and influence of these factors, we are able to be very specific with targeted therapies which create lasting neurological changes. Your treatment plan is designed specifically for you and is not a protocol.